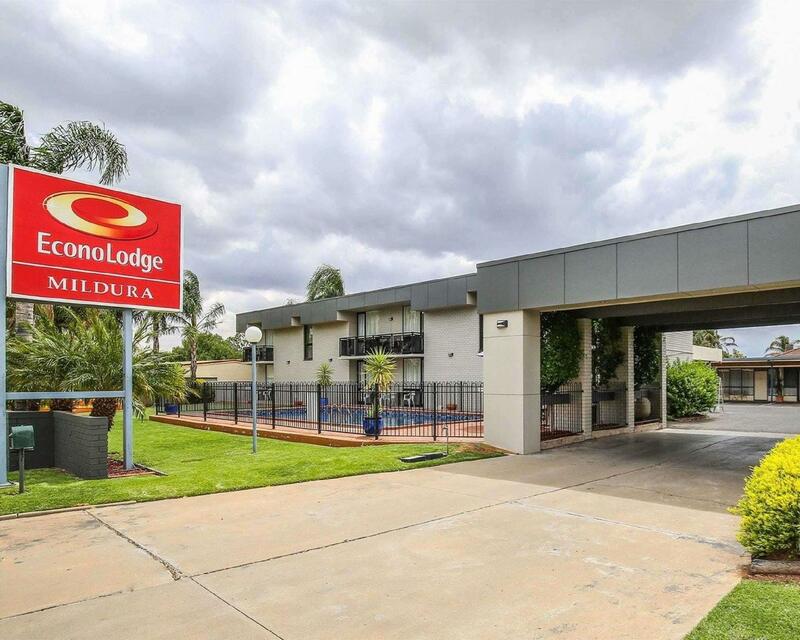 يقع فندق Econo Lodge Mildura، المصمم ليناسب كل الضيوف سواء كانوا من رجال الأعمال أو السياح، في مكان ممتاز في أحد أكثر المناطق تفضيلاً في ميلدورا. يحظى هذا الفندق ذو 3.5 نجمات بمكان ممتاز يسمح بالوصول إلى المعالم السياحية الأكبر في المدينة، فهو يبعد مسافة 3.0 km عن صخب المدينة. يضفي محيط الفندق اللطيف وقربه من Mildura Centre Plaza, Mildura Seventh-day Adventist Church, Centennial Gardens سحراً خاصاً على هذا الفندق. إن الخدمات الممتازة وحسن الضيافة العالي في Econo Lodge Mildura تجعل إقامتك تجربة لا تنسى. يمكن الاستمتاع بمجموعة من الخدمات على أعلى المستويات في الفندق كمثل واي فاي مجاني في جميع الغرف, واي فاي في المناطق العامة, صف السيارات, خدمة الغرف, التوصيل من وإلى المطار. ادخل إلى واحدة من الغرف 21 وتخلص من عناء نهار طويل بمساعدة مجموعة كبيرة من الخدمات كمثل تلفزيون بشاشة مسطحة, اتصال لاسلكي بالإنترنت, اتصال لاسلكي بشبكة الإنترنت (مجاني), غرف لغير المدخنين, مكيف هواء الموجودة في بعض الغرف. يقدم الفندق مجموعة واسعة من وسائل الراحة المتنوعة، كمثل: حمام سباحة خارجي, حديقة. اكتشف مزيجاً ساحراً من الخدمة الاحترافية والخيارات الواسعة من وسائل الراحة والمتعة في Econo Lodge Mildura. Very nice place to stay. If you are using Tom Tom to find the motel please note the street as Sturt Highway or, like us, you will end up miles away in the cemetery. Very clean room and having a shower is like standing under a waterfall. Plenty to do in Mildura, we would have like to have stayed longer. Good hotel on the sturt highway in Mildura. Internet access via a code obtained from the front desk, who also provide a small milk. Coffee, sugar in the room. Hotel sits perfectly on the main road and only a few minutes to Adelaide / Broken Hill turn offs. 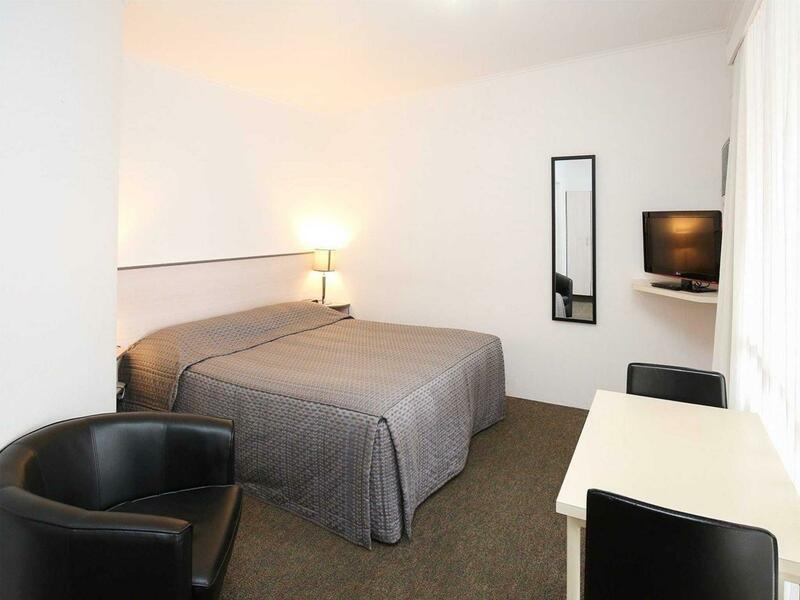 Just across from the Centro shopping cenre and 5 minutes walk from Mcdonalds. Staff are pleasant. I always stay here when in Mildura. Quiet although on highway. Revamped rooms, tastefully done. Nice products. Suited our short stay. The Olive Tree Restaurant was excellent, staff very friendly, two minutes walk away. I arrived quite late in the day, and left early the following morning so did not spend a huge amount of time in this hotel. However the front desk service was friendly and efficient, the room was well appointed and clean, and I was able to park right outside. I would definitely stay again if I ever find myself back in Mildura. I only selected 1 for food and dining as this was not relevant to my stay, and I'm not even sure what they had to offer - this review template is not nearly flexible enough for easy use - sorry Agoda - you need to re-think it! Would recommend this motel to friends. It was a single night stay and was comfortable. the rooms were pleasant. Breakfast was vey nice. You obviously get what you pay for and we only wanted a bed to sleep in as we were active all day. At $88 per night it was pleasant but small. Would definitely recommend it to people on a budget. depressing with such a small old and old fashioned room and bathroom...the air conditioner was totally inadequate for the very cold night and could only be operated by standing on a chair.. i wuld be ashamed to have it in my chain...it was very poor basic budget accommodation and not what i had expected...if i had not had to have paid in advance i would not have stayed there when i saw it. The furniture is very no-frills, (hospital/office style) but the bed is very comfortable and the room was spotlessly clean. Very friendly and helpful lady at reception. I'll come back. we did not spend a lot of time in the room but it was just fine for us, service was fine about what you would normally expect from a country motel. if you are looking for high class accomadation, you need to spend more than we did here. Nice and cosy, complimentary breakfast was quite nice. Only negative comment would be that the air con/heater was noisy, otherwise a good value for money place to stay. 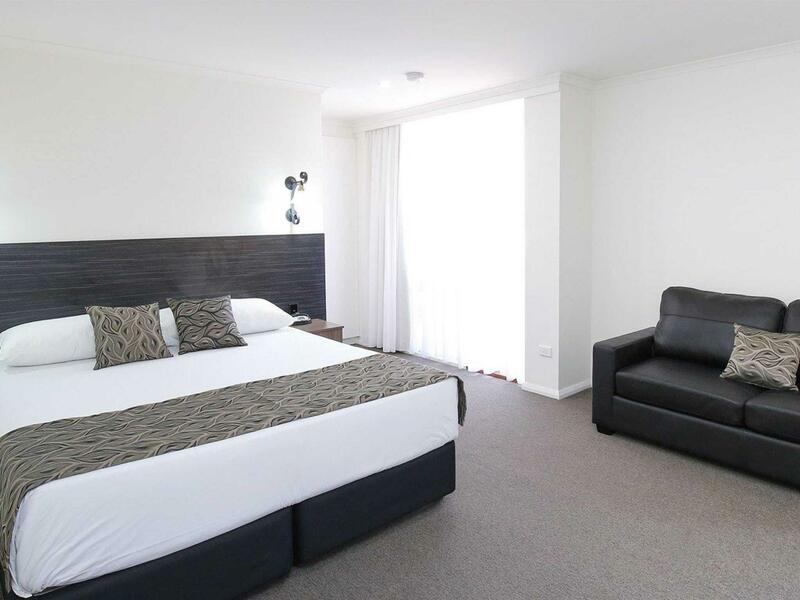 part of the choice hotels chain, the mildura econo lodge, or all seasons as it is otherwise listed, has nice rooms with a comfy bed & electric blanket. it is a bout 2km south of the city centre, but has a shopping centre across the road – walking distance. the wifi connection is free for 4 non consecutive hours – but it expires at 5am the next day. be sure to log out, or it keeps ticking over when you’re not connected. It was a long day leaving Sydney in the morning but glad we chose Mildura. We had heard small towns would have limited dining options but not the case here. The couple running the place suggested the restaurant next door (which does their room service as well) and it was fantastic! Both in presentation and quality, it was way more than we expected, actually one of the best meals we had in Australia! The decor was outdated but it was clean and well maintained. A few blocks from the main business area so the room was nice and quiet. Very comfy bed, large room, slept very well.